Sign up to receive our newsletter and alerts direct to your inbox. 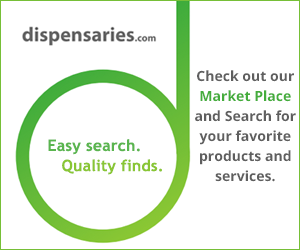 Download the App to find Dispensaries near your area!! Snoop Dogg, who ranks among the highest profile celebrities to move into the marijuana business, has partnered with Canadian company Tweed to distribute the Snoop Dogg Marijuana products north of the border. The world-famous rap artist, who has a line of cannabis products called Leafs By Snoop, recently toured a Tweed facility in Ontario, Canada, that is cultivating new cannabis strains for his company. “Snoop did a tour to inspect the facility and get a look at the next batches of Leafs By Snoop products that we’re growing out at Tweed Farms,” Tweed director of communications Jordan Sinclair told local media outlet Niagara This Week. The rapper made the tour of the 350,000-square-foot greenhouse with Kevin Furet, Tweed’s master grower. Tweed, headquartered in the former Hershey Chocolate factory in Smith Falls, Ontario, is a wholly-owned subsidiary of Canopy Growth Corp., a public company traded on the TSX-Venture Exchange in Canada. The company is licensed under the Canadian Marijuana for Medical Purposes Regulations. Tweed has been an innovator in marijuana production, recently opening a facility in Smith Falls that is considered a state-of-the-art facility in creating new cannabis strains. In February 2016, Snoop Dogg and Tweed reached a deal that gave the Canadian company the right to work on new marijuana strains for the Leafs By Snoop brand. Last month, Tweed announced they will offer Leafs By Snoop products in Canada. These are exclusively available to customers registered with Tweed. Working with the rapper, Tweed has developed brands available in Canada, including Ocean View and Palm Tree CBD. For his part, Snoop Dogg not only toured the facility, but also went to a birthday party thrown by Tweed for him in Toronto. Snoop Dogg compared the burgeoning marijuana industry to the rap culture he came of age in with Dr. Dre and other artists, according to Niagara This Week. “Like hip-hop, cannabis is as much a lifestyle as it is a culture. Leafs By Snoop is an expression of my experience with that culture over decades on the scene,” the rapper said. What Are The Different Ways To Use Marijuana? Cannabis for Cancer: What Are The Benefits? Patients are turning to cannabis for cancer symptom relief when faced with ailments that range from anxiety to pain. Here’s how medicinal marijuana helps. Copyright ©2015-2017 dispensaries.com. All Rights Reserved.